The town of Cardigan is located in Ceredigion in West Wales. A busy market town, it is also the home of a mediaeval castle. Its narrow streets allow you to get a feel of how it was to live in such a place many years ago, where the locals traded their wears and walked to their work each day. 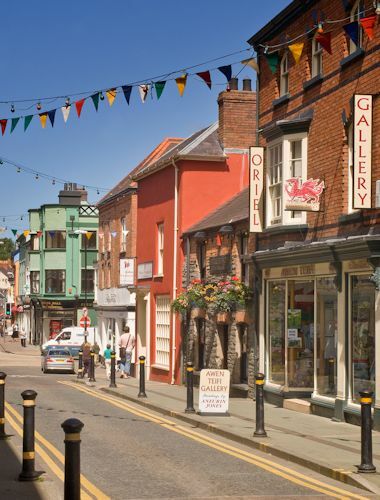 Those visiting Cardigan will find a number of quaint independent shops alongside better-known stores. The town is considered to be an important cultural centre and lays claim to being the location of the first National Eisteddfod of Wales way back in the year 1176. Indeed, Cardigan was once the second most important port in Wales. The town also hosts the national shrine of the Roman Catholic Church in Wales, which results in many pilgrims visiting the area every year. The area around Cardigan is worth visiting for its beautiful views and nature reserves with both the Welsh Wildlife Centre and Teifi Marshes Nature Reserve to be found close by. North of the town can be found the Ceredigion Heritage Coast and many wonderful sandy beaches. 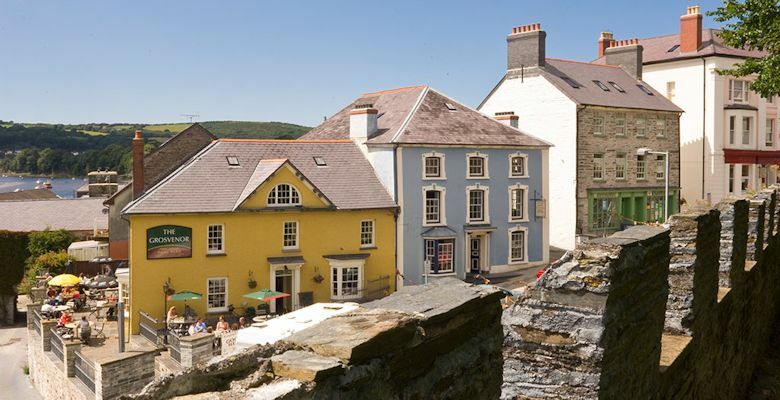 Cardigan Bay is also well known for being able to sight seals and dolphins without having to wait for days to do so! The name Cardigan is an anglicisation of the Welsh Ceredigion meaning “Ceridig’s land." Its location, strategically placed as it is on the banks of the River Teifi, explains why it was fortified during the early middle ages. Robert Montgomery built the town castle in 1093 following the Norman Conquest of 1066. As is common with such fortifications, a walled settlement developed around the castle once it was built. The Norman invaders were finally defeated after a long period of unrest and harassment by the local people. It was in 1176 that Lord Rhys arranged the first eisteddfod to take place in the town with people travelling from all over Wales, England, Scotland and Ireland to take part. The competitions included music and poetry. In 1199 the town was given its first charter and subsequently became a trading centre of some importance. The first recording of a weekly market taking place in the town was in 1227 and this event continues until today. 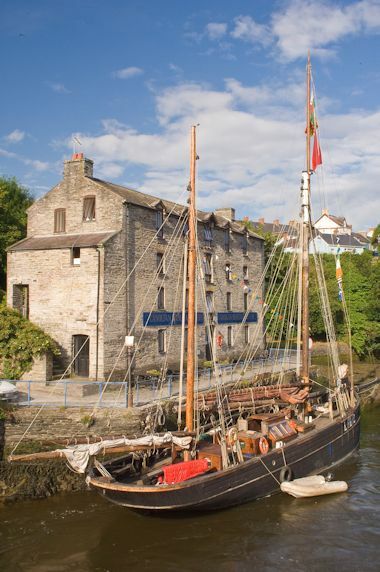 Between the 13th and 16th century, Cardigan remained a small, walled town with some river traffic. It was following Wales being formally annexed by England, through the instrument of the Laws if Wales Act in the 16th Century, that domestic stability and economic prosperity improved in the area. This was mainly through the increase in maritime trade and in particular the development of the Herring industry. By the beginning of the 18th century, Cardigan hosted a large merchant fleet. The area became known for its exports that also included salmon, slate, corn and ale. Inward goods also entered Wales via Cardigan, which included oranges, building materials and coal. All this activity bolstered local industries such as shipbuilding, foundry, ropemakers and sailmaking. Such was the growth in sea trade that by the early 19th century, Cardigan was the most important seaport South Wales with over 300 ships. By comparison, this was three times more shipping than Swansea and seven times more than Cardiff. Alas, sea trade reduced considerably as the river silted up and larger vessels could no longer reach the port. By the early part of the 20th century trade had almost ceased.